You’ll know you’ve arrived in Taroom when you see the Steel Wings Windmill. But it’s the natural wonders surrounding the town that generally entice visitors – or family and friends begging you to visit again. Taroom is a small picturesque country town (population 750) located on the banks of the Dawson River in the Sandstone Wonders region, an aptly-named region encircled by magnificent sandstone cliffs and mountain ranges, offering adventures into ancient landscapes and rural Queensland pioneering history. Wide water fishing hole, Taroom. Locals describe Taroom as a friendly town – welcoming to visitors, with some great spots to grab a good country meal, a nice cuppa, a unique gift shop, regular sporting events and river festival, and lovely scenic spots to visit, including having a picnic at Sandy Creek, just on the outskirts of town; or at Isla Gorge – watching the gorge’s colours changing at sunset and sunrise. 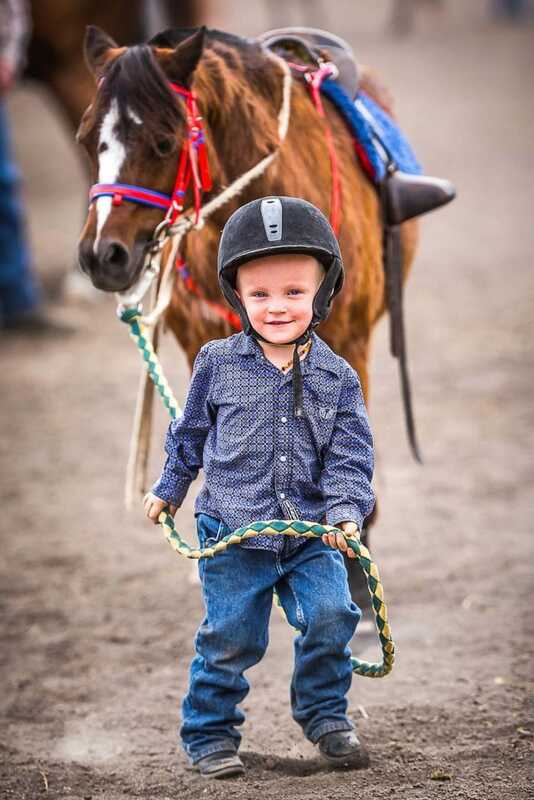 A young Taroom resident and his horse ‘Sprite’. 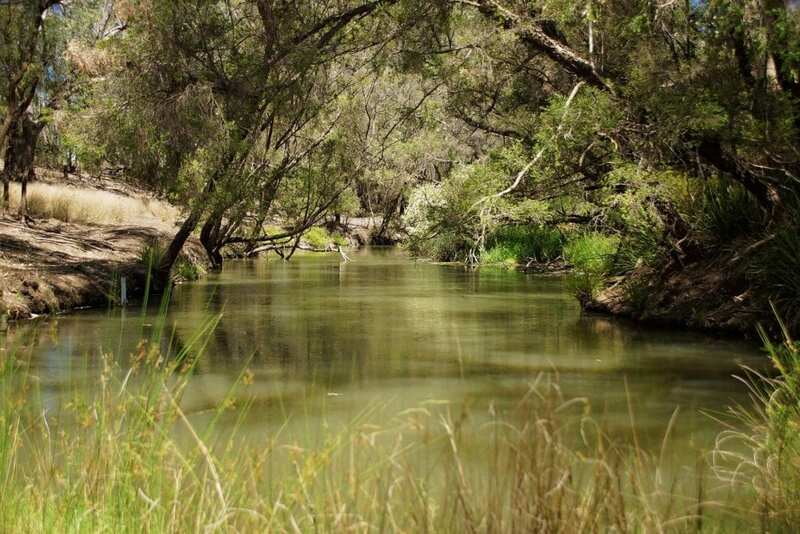 Taroom provides plenty of opportunities to get outdoors and enjoy nature. In town, take time to meander along the river walk to the town centre, stopping at Gilbert’s Lookout to take in the panoramic views of the town and surrounding area. 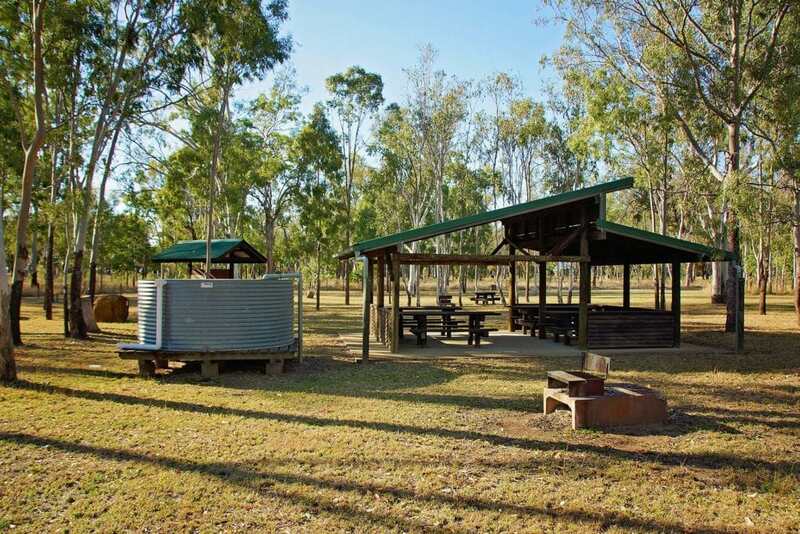 Camping and fishing are also popular pastimes – with good local fishing spots in the Dawson River at the edge of town, Sandy Creek Bridge, Ken’s Camp, and at the Glebe Weir (54km from Taroom). Fishing on the Dawson River, Taroom. 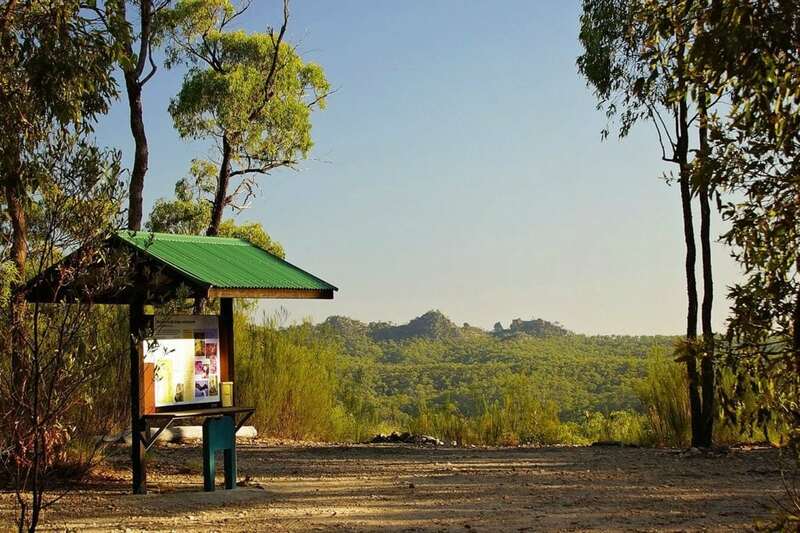 Expedition National Park is one of the region’s main natural drawcards, offering a range of 4WD and camping experiences, across the three main sections of the park – Robinson Gorge (90km north-west from Taroom), Lonesome and Beilba. The best 4WD spots are located at Robinson Gorge (with some quite rough spots), or at Beilba, the most remote section of the park. More accessible, and suitable for all vehicle types in dry weather, is the Lonesome section. 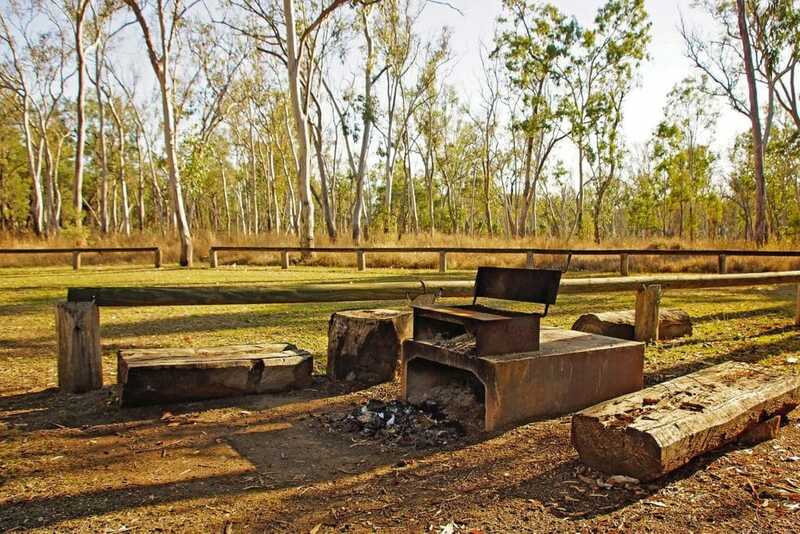 Bush camping is available, but facilities are limited to toilets and picnic tables, and there are no showers, BBQs or water. The park offers dramatic scenery with sandstone cliffs and gorges, lookouts, a wide variety of native flora and fauna, and exceptional bushwalking. Some parts are only accessible by 4WD, and not accessible when wet. Cattle Dip, Expedition National Park. 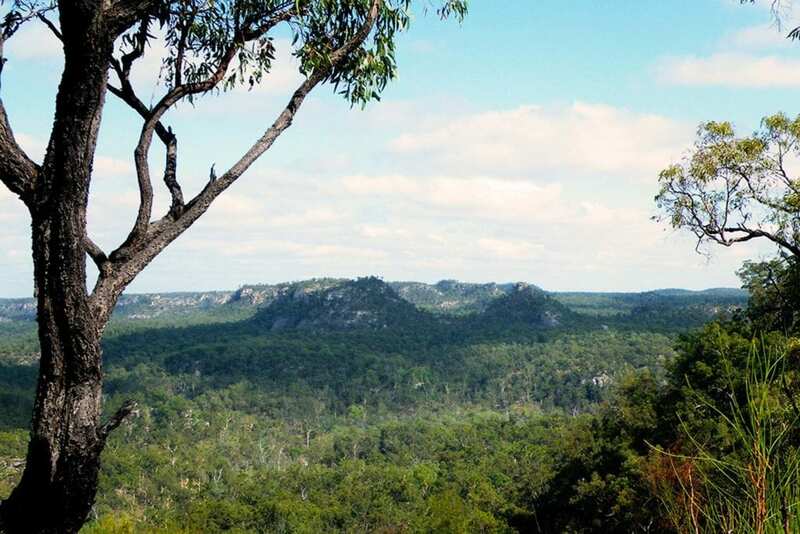 Isla Gorge National Park (55km from Taroom) is another key attraction in the area. 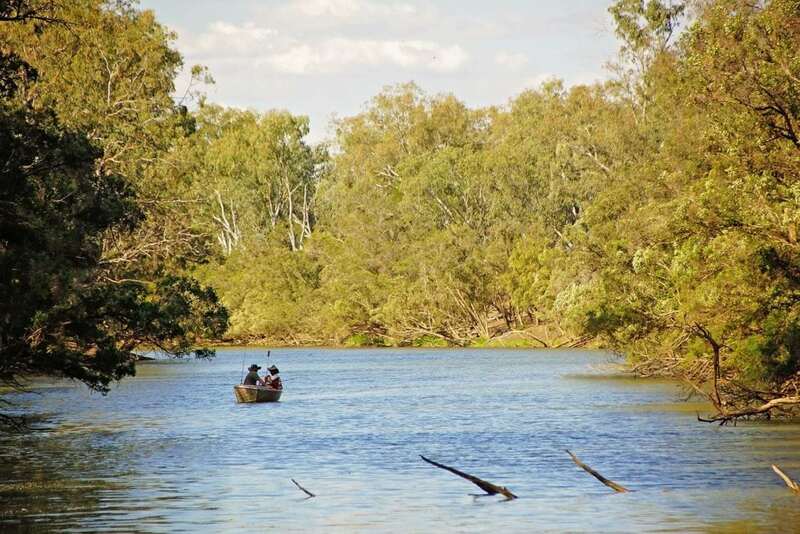 The national park is a short drive north, offering dramatic scenery with cliffs and gorges, a wide variety of native wildlife, lookouts with spectacular views of the Gorge, a picnic area and bush camping. Several self-drive routes take you through the best spots – including the Flagstaff Hill Drive. Flagstaff Hill is an historic section of road, constructed from large rock slabs by hand in the early 1860s. The road was used to carry wool to the port at Rockhampton. 4WD vehicle is recommended for the self-drive routes into the National Park. Off the beaten track, Nathan Gorge is a short 42km north-east of Taroom (suitable for 4WD vehicles only). 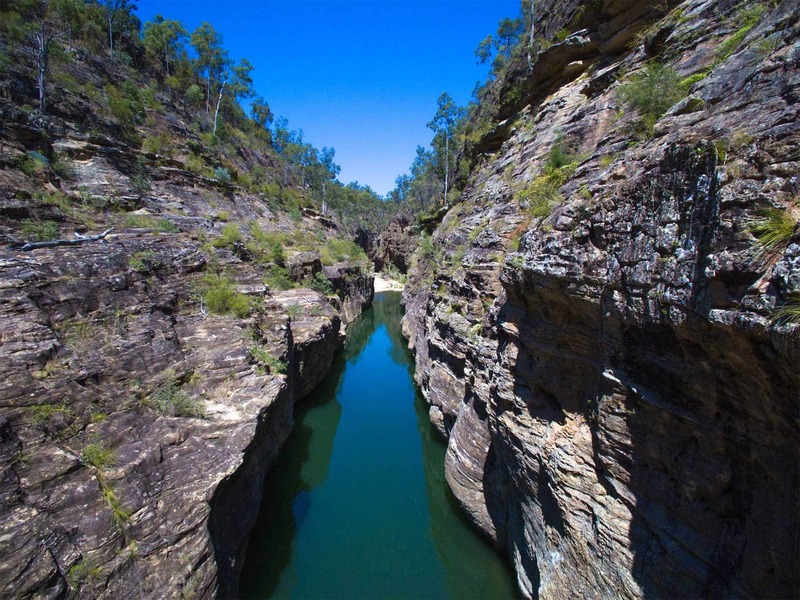 The gorge is remote, offering a true wilderness experience with rocky escarpments, eucalypt forests, and steep river banks of the Dawson River which slices through the middle of the gorge. 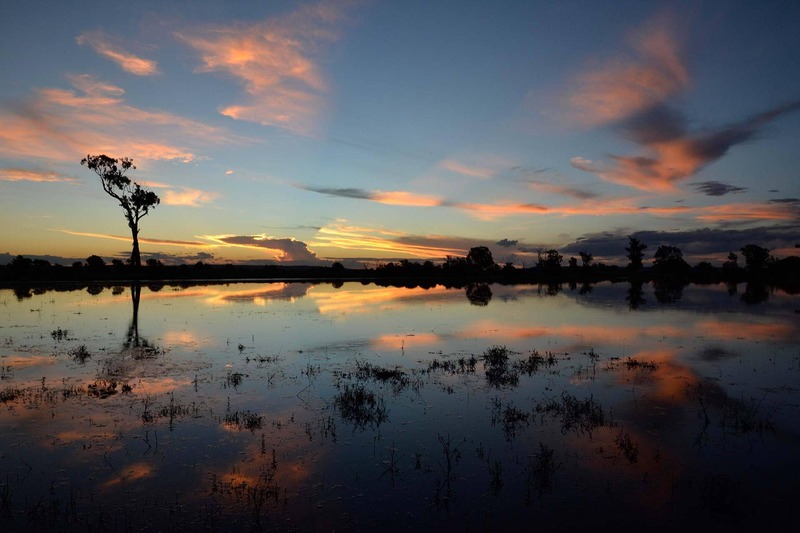 Closer to town, the Chain Lagoons are just 15km north from Taroom. The lagoons are located where the Leichhardt Highway crosses Palm Tree Creek, and were once the site of the Native Police Barracks (also called the Police Lagoons by locals). Rare Livistona cycad palms grow at the lagoons – and are worth visiting. Palm Tree Creek is also renowned as a site for finding petrified palm. Lake Murphy Conservation Park (31km north of Taroom) also offers camping and picnic areas, and a 4km walking circuit to the lake. During dry seasons the lake can be empty, but is still a great place to spot wildlife, including koalas, wallabies, emus, and a large variety of birdlife. Birdlife includes native birds, waders, and migratory waterbirds. Lake Murphy day use area. 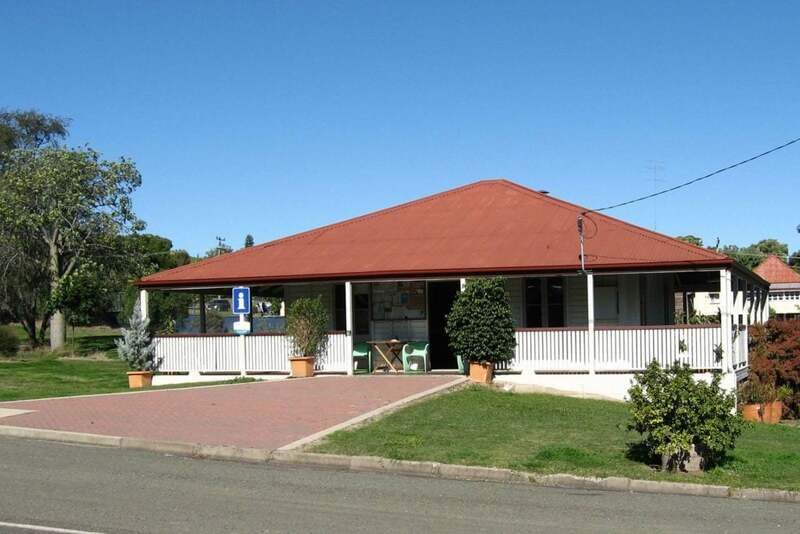 A good place to start is Taroom’s Visitor Information Centre (open Monday-Friday). The friendly volunteer staff will load you up with local information, tell you what to see and do, and provide you with maps, directions, and tips on the area. There is no shortage of history about the town. A visit to the local Taroom and District Historical Society is a “must do” – the museum combines historic artefacts and buildings from the local area, including a blacksmith shop and boat house, and information on the local Indigenous tribe (the Iman people), and rural history. Access to the museum is by request; which can be easily organised by contacting the local Visitor Information Centre. Originally the town was named Bonners Knob, it changed to Taroom in 1856 when the post office was built. The name ‘Taroom’ comes from the local Iman people’s Aboriginal word ‘tarum’ describing the native lime, Eremocitrus glauca, a hardy tree with thorns and an orange blossom odour. The fruit can be used for jam or in drinks. And don’t miss the Steel Wings Windmill – which is clearly visible as you enter town on the Leichhardt Highway. Manufactured in Sydney in the late 1800’s by the Steel Wings company, it is a rare windmill which made its way to Taroom. The windmill was active until the 1950s when its timber foundations were destroyed by fire. The only other known working example is in Jerilderie, New South Wales. 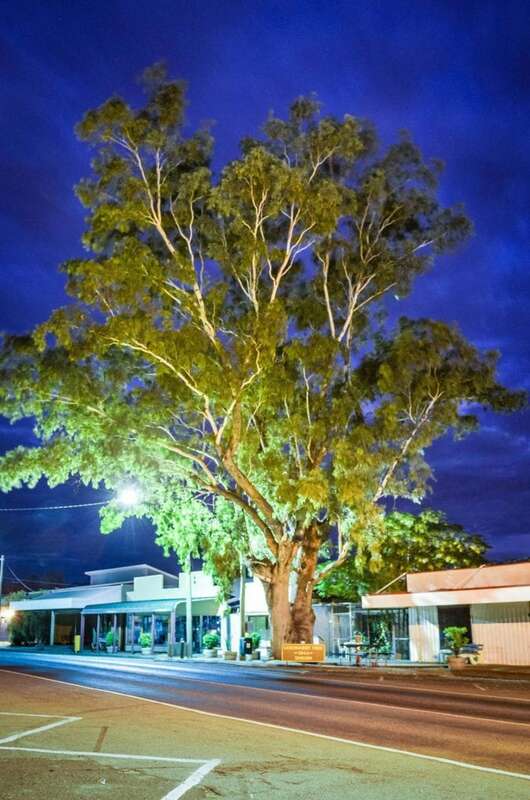 The town’s main historical claim to fame is the Leichhardt Tree, a Coolibah tree located in the middle of Taroom’s main street, and the story surrounding the German explorer’s expeditions. Frederich Wilhelm Ludwig Leichhardt (1813-1848) was a German-born scientist and naturalist who undertook two significant overland expeditions in the 1840s, one of which passed through Taroom in 1844, which was when he left his famous mark “LL 44” on the tree. The tree still grows in the main street, but the carvings can no longer be seen. On his third expedition in 1848 he disappeared, and what happened to him and his party of seven men has remained a mystery ever since. Pop by to also see the Ludwig Leichhardt Memorial, located in Ludwig Leichhardt Park in Yaldwyn Street. The sandstone memorial has three bronze plaques, and provides an account of Leichhardt’s life and disappearance in 1848. The “Native Trees Only” park features many examples of native flora, including flaxleaf paperbark, bloodwood, weeping bottle brush, lemon scented gum, coolabah, and swamp mahogany. There is only one non-native exception – an Aleppo Pine which has been grown from a seed from a pine at Lone Pine at Gallipoli. For further Taroom history read these links: Aussie Towns or Queensland Places. Positioned on the border between the Banana Shire and Western Downs region, Taroom is 464km north-west from Brisbane, or 290km west of Maryborough, via the Warrego and Leichhardt Highways. 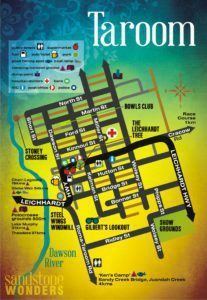 Local accommodation includes a motel, cabins, and hotel in Taroom; camping spots at the Polocrosse Grounds in town and free camping at Chain Lagoons; and nearby campsites at Lake Murphy, and further afield at Glebe Weir or Isla Gorge National Park. 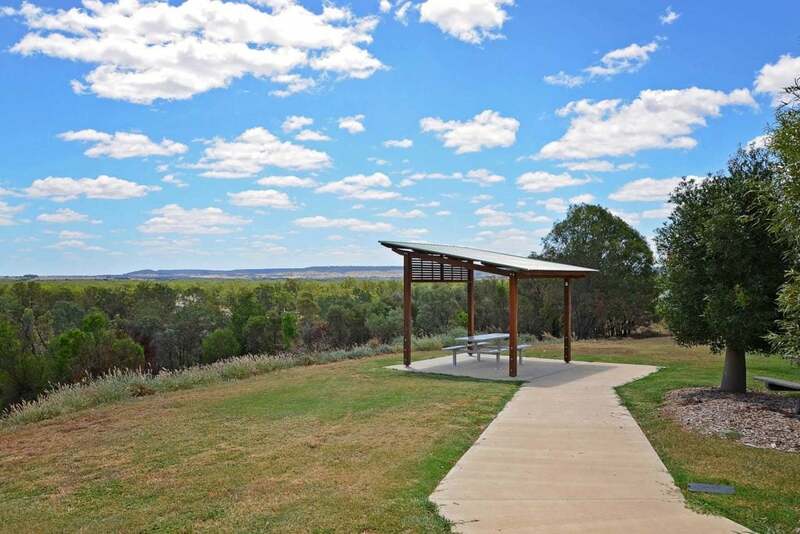 Taroom is a RV Friendly Town and a dump point is located in Wolsey Street. Why not extend your stay for an extra few days in the Sandstone Wonders region? There are more natural wonders, camping, fishing and outdoor experiences waiting for you to discover. 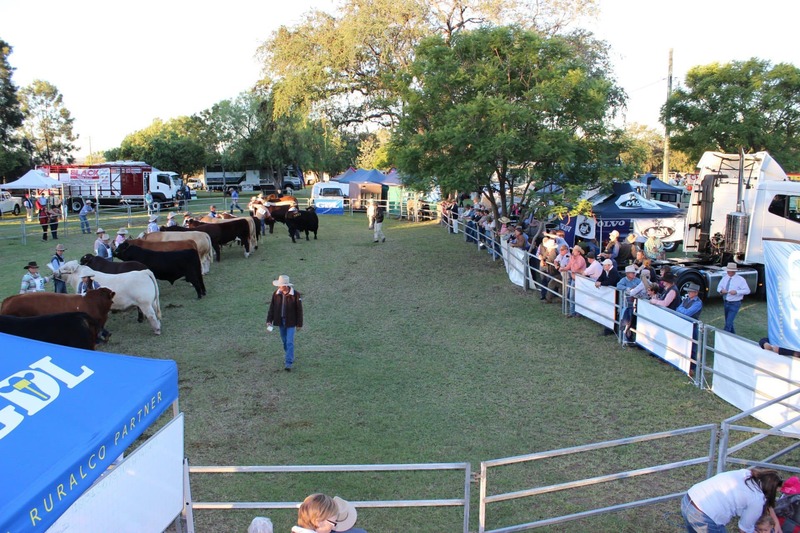 Taroom is well known for its events. 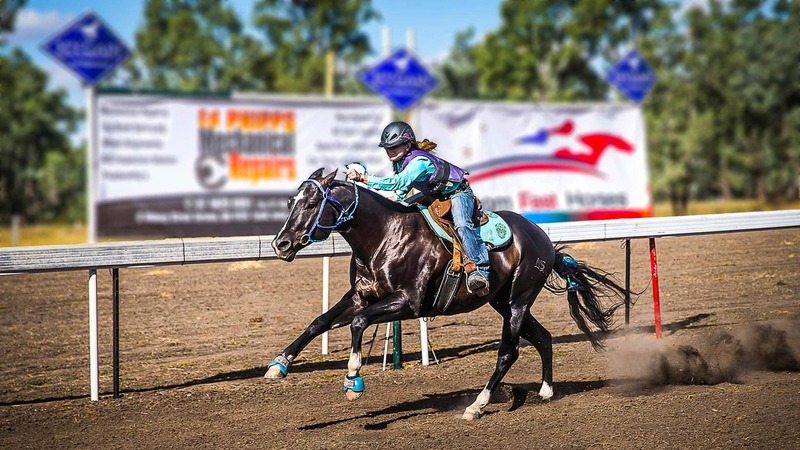 The annual agricultural show is held each year on the first weekend in May, and rodeos, horse racing, polocrosse and campdraft events occur throughout the year. The Taroom Racecourse is one of Queensland’s oldest. Built in 1871, it is one of only four racecourses in Queensland that runs anticlockwise. Dawson River Festival events and local fishing competitions are also popular activities for visitors and locals alike. In addition, golf, tennis, and lawn bowls are offered all year round. 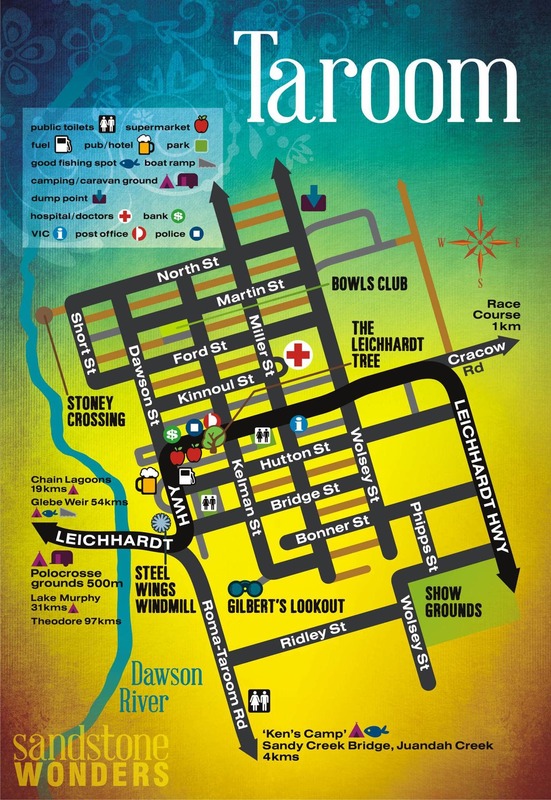 The Sandstone Wonders website includes a number of suggested self-drive itineraries, including The Banana Loop covering the broader shire area; and the Historic Flagstaff Road which includes the Taroom area. Visit our self-drive tours page and download our itineraries. The Sandstone Wonders region is home to 25 mountain ranges, and is often referred to as ‘the roof of Queensland. It is also home to numerous rivers, lakes and National Parks. Check road details for vehicle suitability, as some National Parks are only accessible via unsealed roads, and not suitable for caravans. Remember to obtain a camping permit if you intend to camp in a National Park. For more details download the Sandstone Wonders visitor guide. And to keep up-to-date on regional news and events, please check out our Facebook page. Great article. This is my hometown and it’s lovely to read how someone else describes this great little town. Thank you. Thank you Melissa! We love Taroom. Such a surprise to see my home town and to see such a great article well done ! Still love this place and the family that are remaining! Thank you for the comments Dale. We are proud of Taroom and all it has to offer and will keep working on Taroom as part of our promotions of the Sandstone Wonders.